Coreen Pace started her florist career arranging beautiful bouquets in 1998 out of milk creates in Westport. Since then, she has become a FULL SERVICE florist, working out of her quaint shop in Southport Village. Her style and technique is truly unmatched, from wedding bouquets and centerpieces to her daily grab & go's, every piece is uniquely crafted with her personal touch. Coreen's Bridge Floral is more than flower shop. Coreen's store carries fabulous line of designer gifts including Vera Bradley, Chappy Wrap Blankets, Salmon Falls Pottery, Cucina Soaps & Lotions, and one of a kind pieces from local artisans. It's truly a one-stop shop for home and hostess gifts. Valentine's Day at Coreen's Bridge Floral! 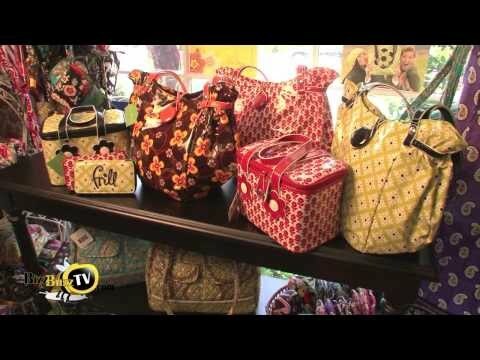 Come see the NEW winter Vera Bradley line!